Thin is in. Now enjoy the same great taste as Siser EasyWeed, but with far fewer calories! 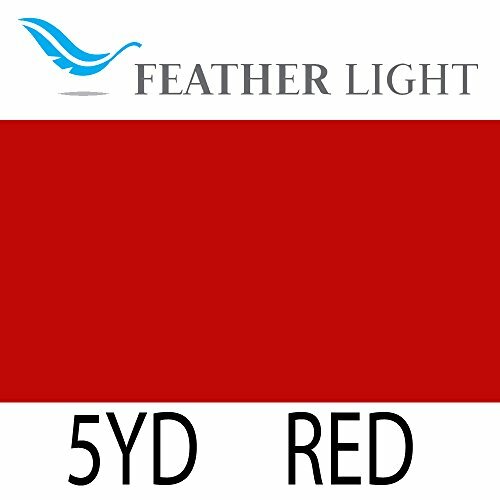 Featherlight by Siser is a NEW USCutter Exclusive heat transfer vinyl product that is over 25% thinner than EasyWeed and other common HTVs. With its barely-there footprint, your customers will forget they are even wearing FeatherLight designs that weed like a dream and apply easily onto a wider variety of todays thinner fashion materials, especially thin substrates like tees and tank tops, rapid dry sportswear, and more! Try this washer-friendly and very durable new product today.